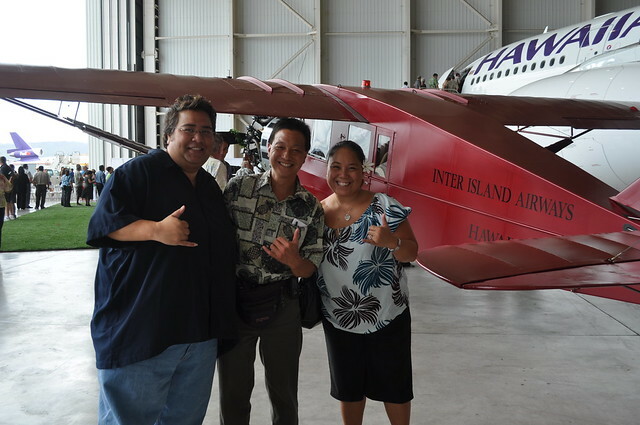 Posing by Hawaiian Airlines Bellanca airplane. The first Hawaiian Airlines aircraft. Fully restored and running.